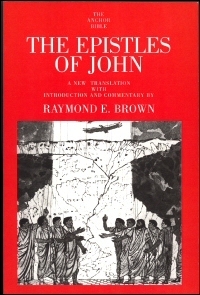 With this study—companion to the masterful two-volume The Gospel According to John, Raymond E. Brown completed his trilogy on the Johannine corpus. Meticulous in detail, exhaustive in analysis, persuasive in argument, it examines controversies that have long troubled both biblical scholars and lay readers. Questions of authorship, composition, and dating, as well as the debate over source theories, are discussed at length; but these are kept subordinate to the overall question of meaning. Over his illustrious career, the late Raymond E. Brown, S.S., Ph.D., was internationally regarded as a dean of New Testament scholars. He was Auburn Distinguished Professor Emeritus of Biblical Studies at Union Theological Seminary in New York City. Among his more than thirty-five books on the Bible are three volumes in the i>Anchor Bible Series, as well as the Anchor Bible Reference Library volumes The Birth of the Messiah, The Death of the Messiah, and An Introduction to the New Testament, winner of the 1998 Catholic Press Association Award for Biblical Studies.